How much do Blue Jackets suites cost? Columbus Blue Jackets suites will range in price based on opponent, day of the week, suite location and suite capacity. Premier Suites are larger and often more expensive than Executive Suites. Premier Suites are typically priced between $6,000 - $8,000 while Executive Suites are priced from $4,500 to $5,800 depending on the above variables. A Premier suite at Nationwide Arena is more ideal for a larger group as it can accommodate groups of 24. In-suite catering can be ordered for the suite in advance. The suite will feature a spacious floorplan, private restroom, plenty of seating and HDTVs. An Executive suite for Blue Jackets game will accommodate groups of 16 guests. If needed, up to 3 additional tickets can be purchased. Amenities include a private restroom, entertaining space, premium seating and HDTVs. Guests can also enter the arena through a private entrance and have exclusive access to VIP lounges inside. The Columbus Blue Jackets made the playoffs last season for the first time since 2013. The Blue Jackets rattled off an impressive run of 16 straight wins in November and December; only one away from an NHL record. This hot streak paved the way for a 3rd place finish in the Metropolitan division. Head Coach John Tortorella won the Jack Adams Award annually given to the NHL's top coach and rookie forward Zach Werenski finished third in ROY voting. The Blue Jackets will aim to return to the playoffs next season behind Tortorella. The Jackets will return leading scorers Cam Atkinson and Alex Wennberg. 28-year old right winger Cam Atkinson finished last season with a career-high 62 points in 80 games played. Nick Foligno provides leadership and toughness on the wing and young defenseman Seth Jones will continue to improve. A luxury suite at Nationwide Arena is the perfect environment to host clients or enjoy the company of friends and family while experiencing a Columbus Blue Jackets hockey game. Suites at Nationwide Arena come with comfortable lounge and stadium-style seating, HDTVs, a wet bar, and access to private stadium clubs. Nationwide Arena will also feature Ed Sheeran, Chris Stapleton, and the NCAA Women's Final Four. In 2015, the Columbus Blue Jackets finished last in the Metropolitan division with 76 points and a record of 34 wins and 40 losses. There is optimism around the team though because of who they got with the third pick in the draft. The Blue Jackets selected Canadian left-winger Pierre-Luc Dubois with the third pick of the draft and the team believes that he will stick with the senior club. He is even starting to get some buzz for the Calder Trophy, given to the league's top rookie. The returning talent on the Blue Jackets also has plenty of potential to excel. 27-year old right winger Cam Atkinson was the leading scorer last season with 53 points on 27 goals and 26 assists. The Blue Jackets are strong out on the wings as their other highest scorer was left winger Brandon Saad who scored the most goals of anyone on the team last season with 31 while also dishing out 22 assists. Center Boone Jenner was also one of their best young players last year. Jenner scored 30 goals last season as a 23-year old, so fans expect him to be a big time player this season. 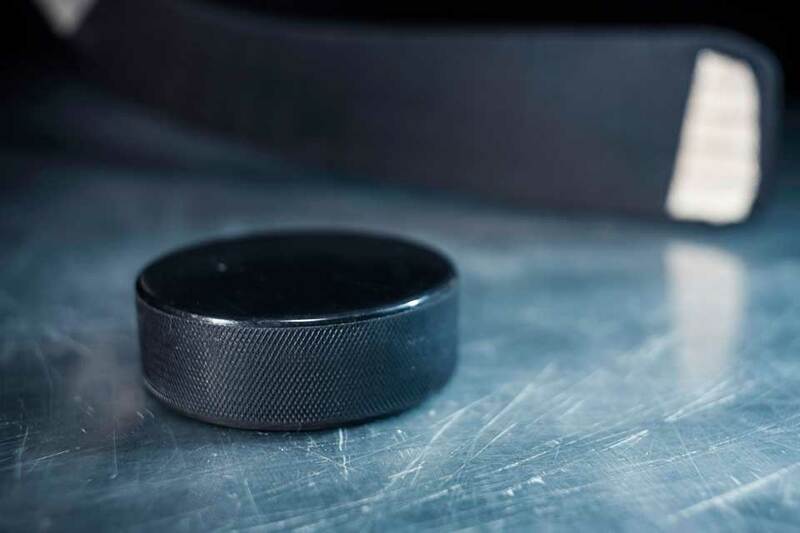 In 2016, the Blue Jackets will host the Pittsburgh Penguins, Washington Capitols, San Jose Sharks, New York Rangers, Philadelphia Flyers, New Jersey Devils, Toronto Maple Leafs and St. Louis Blues. Watching the Blue Jackets play from a suite is the best way to experience hockey. A luxury suite is the perfect environment to host clients or personal connections. Suites at Nationwide Arena come with comfortable lounge and stadium-style seating, HDTVs, a wet bar, access to private clubs inside the stadium, a private restroom, entry to the arena through an exclusive entrance, customizable catering options and a dedicated suite attendant. Nationwide Arena will be hosting the Kellogg's Tour of Gymnastics Champions, NCAA Women's Volleyball Championships, Dixie Chicks, Trans-Siberian Orchestra and Game of Thrones Live. Thank you for signing up for specials at Nationwide Arena. Enter your email address below to stay in touch. We'll sign you up for our newsletter, which will inform you of the latest inventory and events at Nationwide Arena. We promise we will never sell or distribute your information. The seating chart below shows where the Columbus Blue Jackets suites at Nationwide Arena are located.